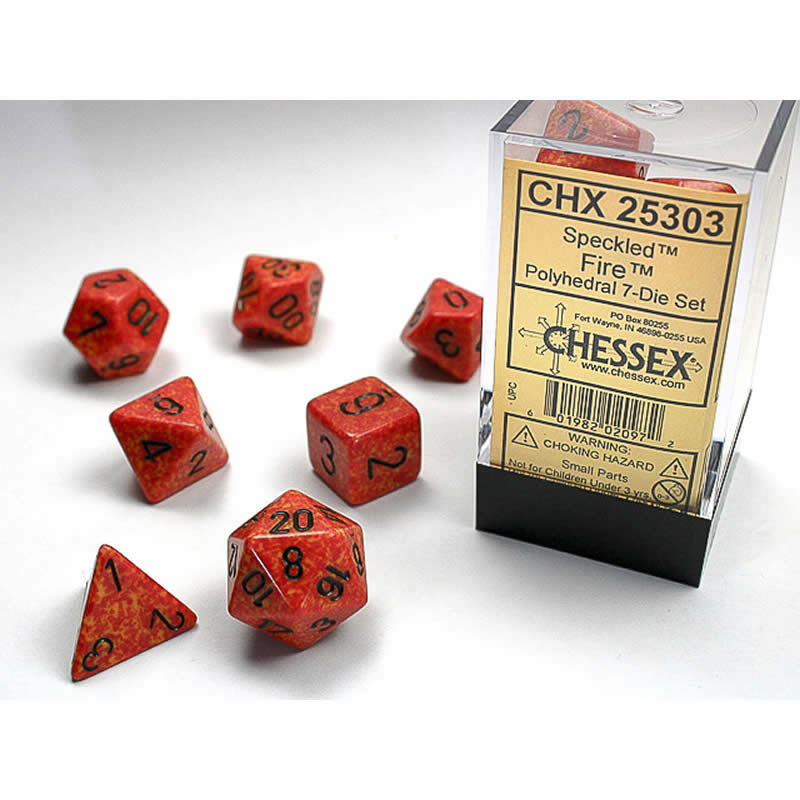 - Contains 1ea of the following dice D4, D6, D8, D10, D12, D20, d10 Percentile. - The D6 is Approximately 16mm 5/8 inch in size. - Speckeled dice are also known as elemental dice. 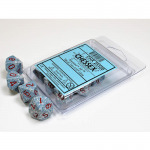 - Dice packed in a clear plastic box. 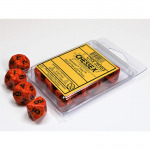 This container is for storage and shipping to protect the dice. 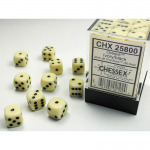 These containers may have small scratches from the dice.